CY M/Lock – 200 MM. TASHI CY/Latch – 225/140 MM. IGNIS CY/Latch – 200/100 MM. ELITA DSS. KY – 175/100 MM. DIVI CY/KY/Latch – 100/175/200 MM. VIVEL KY/Latch – 200/100 MM. MERIGOLD DOORS KING is established in the year 1985.as a leading manufacturer and supplier of Mortise Locks, Dead Locks, Door Locks & Latches. Recently the company has introduced Cupboard and Drawer Locks. We always support our Customers with excellent, long lasting quality and services. All our offerings are marketed under the brand name “DAISY”. 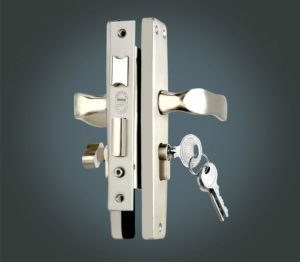 We are manufacturing mortise set with the range:- AISI G-304 Stainless Steel, Zinc Handles and M.S. Range. Our focus since inception has been on product quality, credit reputation, and product efficiency to build a recognized brand.